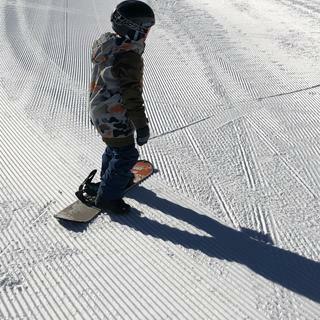 Bluebird days or blizzards alike, the DC Troop Snowboard Jacket for kid's will keep your child protected and happy. Featuring a polyester stretch twill to optimize mobility and comfort, and taffeta lining for a spark of warmth, this jacket will keep your little one riding strong. The 10,000mm of waterproofing and equally high breathability rating help to shed excess heat and repel moisture, to keep them dry from all directions, while 120g of insulation keeps them warm and cozy. My son loves his DC jacket. He says “he always wants to have one.” Nice quality and a great price at The House. 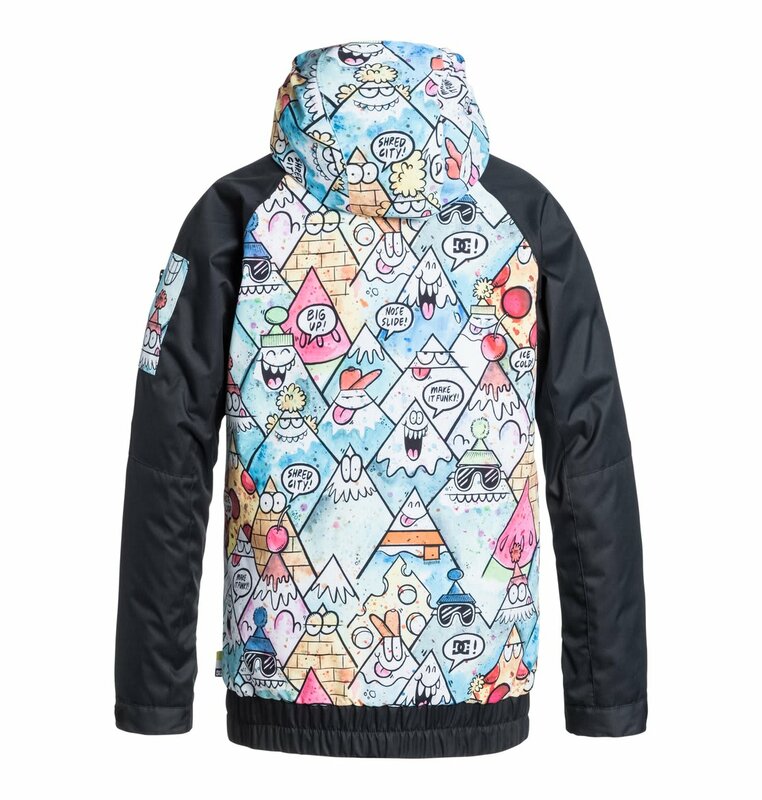 The jacket was purchased for my son who just received a snowboard for Christmas. He loves the jacket colors and tells me that it is very warm. It matches his yellow and green snow board so that is also a bonus. The jacket is made very well and has plenty of all the right pockets. It looks good and is a great value! My son got the black and blue color. He loves it and the lift guys complemented his jacket a couple times. The first time he wore it was On a single digit weather and it worked really well but of course we layered pretty good. Really happy with the product. Great jacket!! It was a little big for my kids but still kept them dry and warm. Fits great, warm and comfortable! My son loves this jacket. 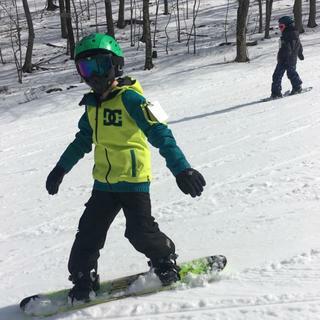 It kept my little guy warm and dry while he learned to snowboard. Great coat, fast shipping, great packaging! Very cool looking! 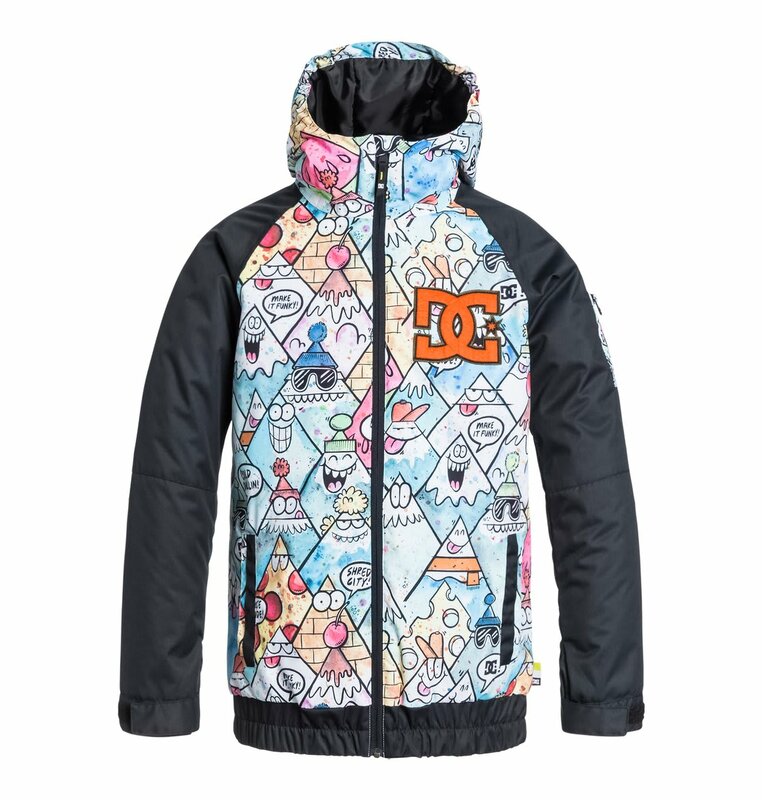 My son LOVES the DC brand AND he also loves baseball style coats--he's going to LOVE this jacket! Is a large a 12 or ? A size 'L' is listed by DC as a 12yr....yep. Will xs fit my 6 1/2 yr old daughter about 47" height? BEST ANSWER: Yes the XS would be the best fit. If you haven't already, take a second to look at the Sizing & Fit link that is located above the red Add to Cart button. The sizing chart will help you select the DC Troop size you need with your specific measurements. I feel that these jackets are roomy. My 9 year old who is tall wore a size small. Is the Subdan stripe blue and red or is that a pink color? BEST ANSWER: Pink, Blue, and Black. You told me it was red not pink which is it? Hi! Will “S” fit my 7 yr old son about 49” height? If you haven't already, take a second to look at the Sizing & Fit link that is located between the 'Select a Size' and 'Select a Color' drop down menus. The boys' outerwear size chart is just below the women's, so you may need to scroll down once you have the pop up chart open. BEST ANSWER: You'll see by selecting "Sizing & Fit" that the DC Troop in size XS is an 8. My son fits into a burton 4T or XS sizes...he is about 41 inches tall...I noticed the DC size XS seems alot bigger?? BEST ANSWER: Every brand has different sizing specs. If you haven't already, take a second to look at the Sizing & Fit link that is located above the red Add to Cart button. The sizing chart will help you select the DC Troop Jacket size you need with your specific measurements. My daughter loves this jacket. 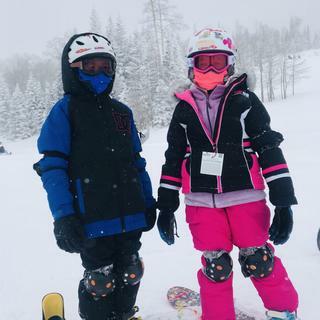 Hoping to pair with the Maci snowboard pants in pink. Is the bright color on this jacket pink? Think that'll match? Which color option are you referring too? 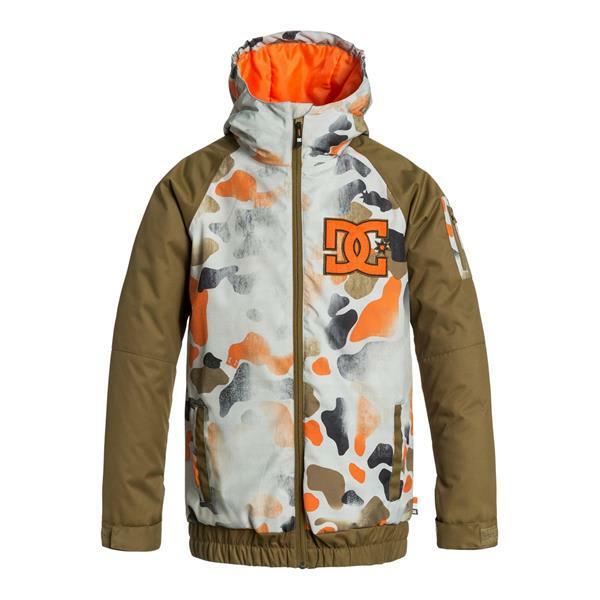 Is a boy's snowboard jacket in size L for a kid who usually wears a 14 boys?